Ram Vilas Vedanti has said that they will start building the Ram temple in December and suggested that meanwhile, a mosque can be built in Lucknow in the name of Allah. New Delhi: Former Bharatiya Janata Party MP and senior Vishwa Hindu Parishad leader Ram Vilas Vedanti has said that the Ram temple will be built by a “mutual consensus” and not by any ordinance or legislation. A few days ago, members of the Rashtriya Swamsevak Sangh (RSS) had urged the Union government to make a law on the construction of Ram temple at the disputed site in Ayodhya. The Indian Express quoted RSS joint general secretary, Manmohan Vaidya, as saying, “Ram temple is a matter of national pride and glory. Just like Sardar Patel got Somnath temple rebuilt, the government should acquire the land and hand over it for Ram temple construction. Govt should make law for that.” This demand came after the Supreme Court said it would be constituting a bench to hear the Ayodhya title dispute only in January. The Supreme Court’s decision rebuffed several Sangh parivar outfits and various political parties who were pressing for a quick judgement. While Uttar Pradesh Adityanath termed it as an injustice to the Hindus of the country, BJP MP Subramaniam Swamy pitched for an ordinance to force the matter out of the court’s hands. On the other hand, Congress leaders like P. Chidambaram and Kapil Sibbal backed Supreme Court’s decision to delay the matter to next year. Ram Vilas Vedanti, however, has demanded for a consensus between the differing voices over the matter. According to Indian Express, he said that he will start constructing the temple in Ayodhya and meanwhile a mosque can be built in Lucknow in the name of Allah. “Prime Minister Narendra Modi, BJP chief Amit Shah, party ministers, MPs and MLAs want the temple to be built but if legislation will be brought in and passed, no one will be able to stop communal violence.We do not want violence. We want peace,” he added. According to the Indian Express, RSS chief Mohan Bhagwat had appealed for a separate law for the construction of Ram temple and urged the apex court to the expedite its decision at his customary address at RSS headquarters. “The place of Janmabhoomi is yet to be allocated for the construction of the temple although all kinds of evidence have affirmed that there was a temple at that place. There is an obvious game plan of a few elements to stall the judgment by presenting various newer interventions in the judicial process. It is in nobody’s interest to test the patience of the society without any reason,” he said. 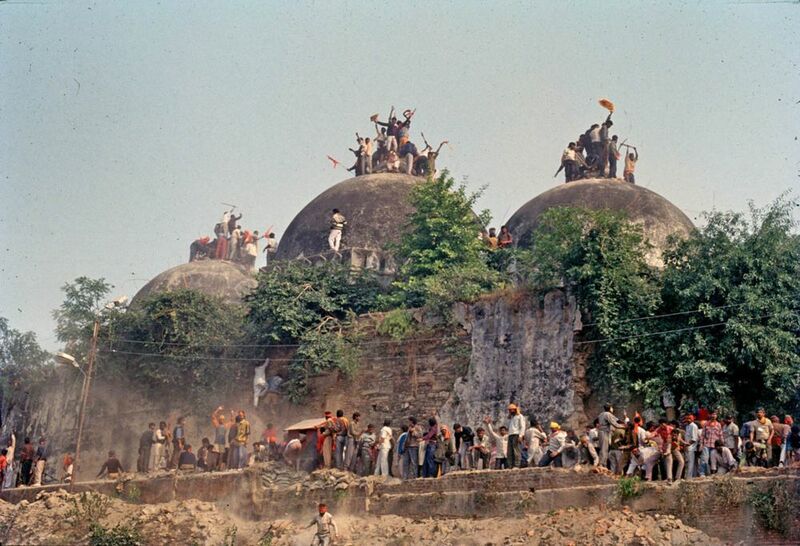 Almost a week after Bhagwat’s speech, VHP members scaled up their preparation for Ram temple construction in Ayodhya. Other than setting up a temple model in Karsevakpuram, the VHP ordered a truckload of stones to Ayodhya. According to Times of India, around 70 trucks of stones and skilful artisans are expected to reach Ayodhya soon to kickstart the construction work at the disputed area.